Read our Eye 68 Q&A with Ryan Pescatore Frisk and Catelijne van Middelkoop of Strange Attractors on the Eye site. 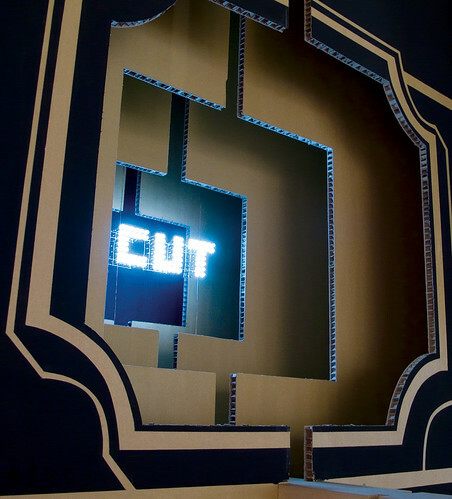 Images from Big Type Says More, a typographic installation for ‘Cut for Purpose’, an exhibition at Museum Boijmans van Beuningen, Rotterdam, 2006. Design: Ryan Frisk and Catelijne van Middelkoop, Strange Attractors. For more infomation about the practice see Strange Attractors’ website strangeattractors.com.